Fancy an adventure? 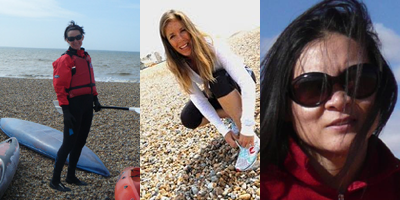 Fed up with pounding the pavements and bored of the gym? 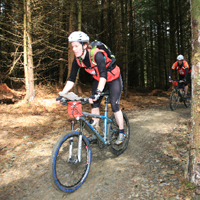 Try the ultimate challenge that will supercharge your fitness and the fun factor…adventure racing. Ask most active women what sport they do most regularly and nine times out of ten their answer will be running. Yet what starts off as jogging and progresses to 5k races and eventually marathons can become repetitive after a few years. 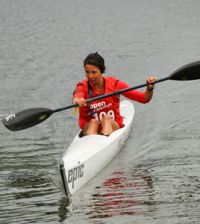 It could be the reason why increasing numbers of women are now beginning to turn to adventure racing which has exploded in terms of its popularity in recent years. Traditionally seen as a rugged, extreme race for the ultra fit, adventure races now come in all lengths and variations from five hours to a weekend and upwards making them accessible for any level of fitness or ability. So, what is adventure racing? According to Rob Howard managing editor of www.sleepmonsters.co.uk a website dedicated to adventure racing it is, “A sport for any number of people who want to do anything over any period of time” – a useful definition. It encompasses the adventurous element of the sport which can see you doing anything from rock climbing to abseiling. 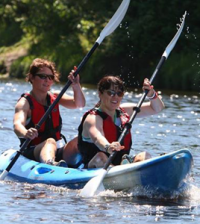 That said it more typically comprises a mixture of off road biking, running and kayaking. This means it is excellent for working out the entire body and much like a triathlon it is more forgiving on the body as it does not rely on training in just one area, such as running. Training for these events adds variety to normal work outs and can improve your overall running performance since it requires you to be able to run off road and on hills. The thing that most sets it apart though from other sports is the fact that most adventure races include an element of navigation. Before a race you are given a map with various checkpoints, all which are worth varying numbers of points, making the race not just a test of fitness. Nicola who works for the Army when she’s not racing, also points out that unlike sports where you are pitting yourself against competitors this is a team sport so group dynamics are another vital component to consider. “It’s really important to choose your team mates well. “You’ve got to be both compatible physically but also be able to have a laugh. And team co-operation will be a factor that first timer adventure team, Fitbitch Boot Camp (pictured below) will be hoping they have got right. They set themselves the goal of doing the Questars Q2 in the The Quest Challenge, a two day event in Dorset (look out for the race review coming soon on Sportsister) involving a total of 18 miles running, 40 miles biking and 8 miles kayaking, one element of which will include a night run. Having only kayaked and cycled recreationally the team will be needing all the support they can get in their first ever adventure race. Having met through a fitness boot camp the longest race any of them have ever won is a half marathon. So, how should they train for an adventure race? “Everyone has different strengths and weaknesses so it is good to train individually on those disciplines that you are weak at and basically build up endurance” advices Nicola. The team will be reviewing adventure race gear and will report on their race so watch out for future updates. Dreading: Finishing one stage and knowing I’ve got to do the next bit! Can’t wait: For the challenge of doing something totally new and as part of a team. Dreading: Waking up on Sunday and realising I’ve got to do it all over again! 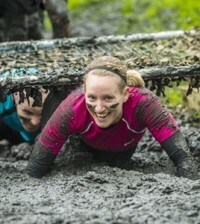 Can’t wait: For the physical challenge whilst having a laugh at the same time. Dreading: Discovering she’s read the map wrong and set the team the wrong way! Bit more of a challenge​?